The All Results Journals: Why do we have negative results in antidepressant addiction treatments? Why do we have negative results in antidepressant addiction treatments? At present, there are about 30 different antidepressants available in the drugs stores classified in five different groups: tricyclics, monoamine oxidase inhibitors (MAOIs), selective serotonin reuptake inhibitors (SSRIs), serotonin and noradrenaline reuptake inhibitors (SNRIs) and noradrenaline and specific serotoninergic antidepressants (NASSAs). 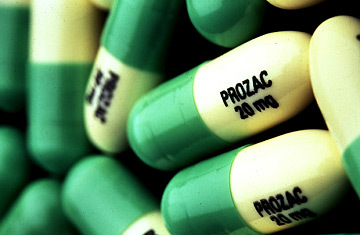 Antidepressants are not addictive or chemically addictive in the same way that other drugs such as heroin, cocaine, crack, etc., however, it is true that many people find it very difficult to get off these drugs, and in addition, many people that consume them experience suicidal cravings and withdrawal symptoms when they stop them. The higher the dose, more difficult it is to get off these substances. When many people try to get off antidepressants, they stop the drug abruptly instead of reducing the dose slowly. In this way, withdrawal symptoms are very hard and suicidal behavior can arise. This is normally the main reason why antidepressant addiction treatment fails. The dose must be reduced slowly over weeks or months to avoid relapse. The dose must be reduced sequentially and, previously to reduce the dose again, the addict must be stabilized in the new dosage, although many doctors prescribe to stop patients from using antidepressants since these drugs don’t present addictive substances. But the truth is that even though you cannot feel physically addicted, psychological addiction is possible. For this reason antidepressant addiction treatments are mainly based on psychological counseling, support and treatment. In this sense, it is very important that the addict feels that they are in a safe environment. Counseling sessions and group therapy provide this environment to treat the main problem of the addiction, the main problem of the depression. If the main problem of the depression is suppressed, the addiction will be eradicated easier. The therapy for antidepressant addiction must be effective, non-harmful and fun. A fun treatment will be more effective than any other. Therefore, the treatment should be complemented with other activities such as massage therapy, exercise, yoga, relaxation, etc. Theoretically, antidepressants are not physically addictive, considering this fact: the treatment of the addiction doesn’t follow a conventional line. In other addictions, the first step is the detoxification process. In other addictions, detoxification is achieved using agonist, treating the symptoms of the withdrawal and with psychological help. In antidepressant addiction, the detoxification must be addressed with a reduction of the dose of the drug and with behavioral and/or psychological support. If these treatments are not combined, the detoxification will not be successful. After the detoxification process the prevention of relapses is very important. Many treatments fail because the tracking of addiction evolution is not correct. The addiction must be tracked periodically and psychological and behavioral therapies must be applied in combination with support to achieve the social re-adaptation of the addict. Finally, the post-treatment support is also very important to ensure the treatment’s success and avoid relapses. In this step, the tracking of the addict is very similar to the tracking after the detoxification process, but in this case the addict must attend group meetings, and psychological meetings in longer periods than in the previous case. In many cases, we consider that the treatment ends after the addict’s detoxification, and this is not true. The treatment must continue beyond after the detoxification; in many cases, lack of post-attention is the main reason of the bad results on the treatments for antidepressant addiction. This attention might be found in specialized detox centers like Oregon inpatient detoxification center.